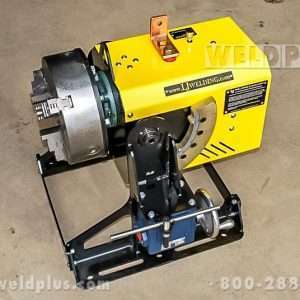 140° of variable speed tilt (00.05-1.0 RPM) from -45° to 95°. 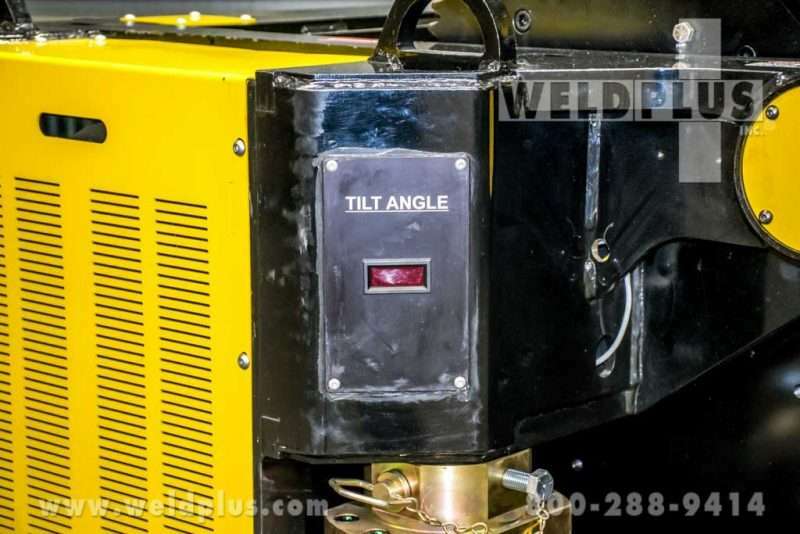 Controls for rotation, direction and tilt located on the control panel. 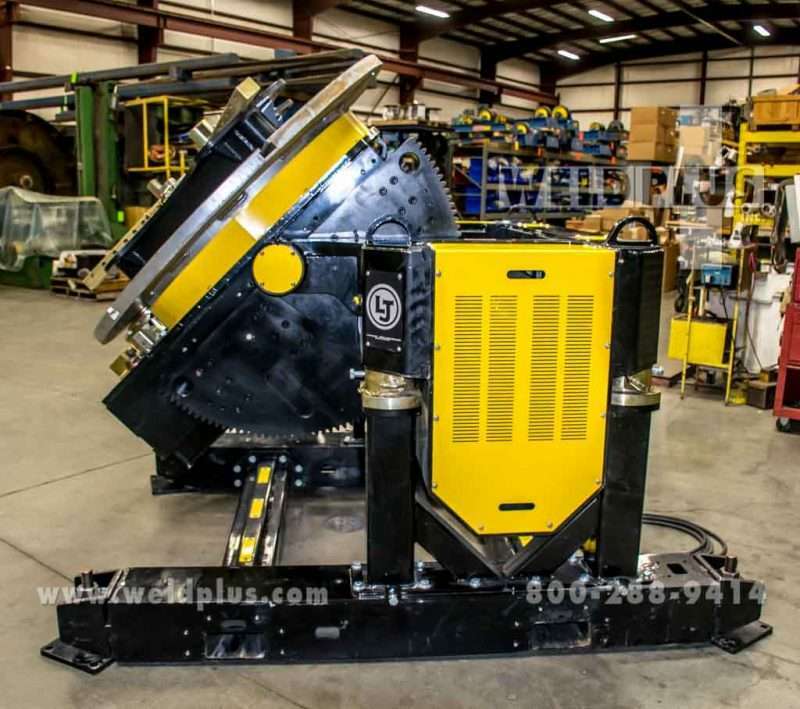 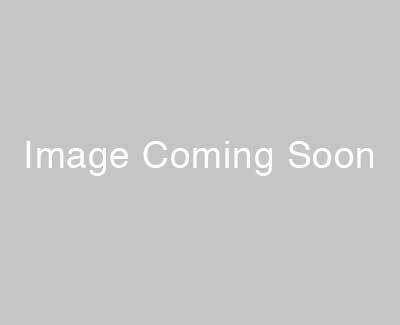 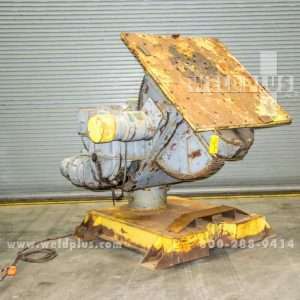 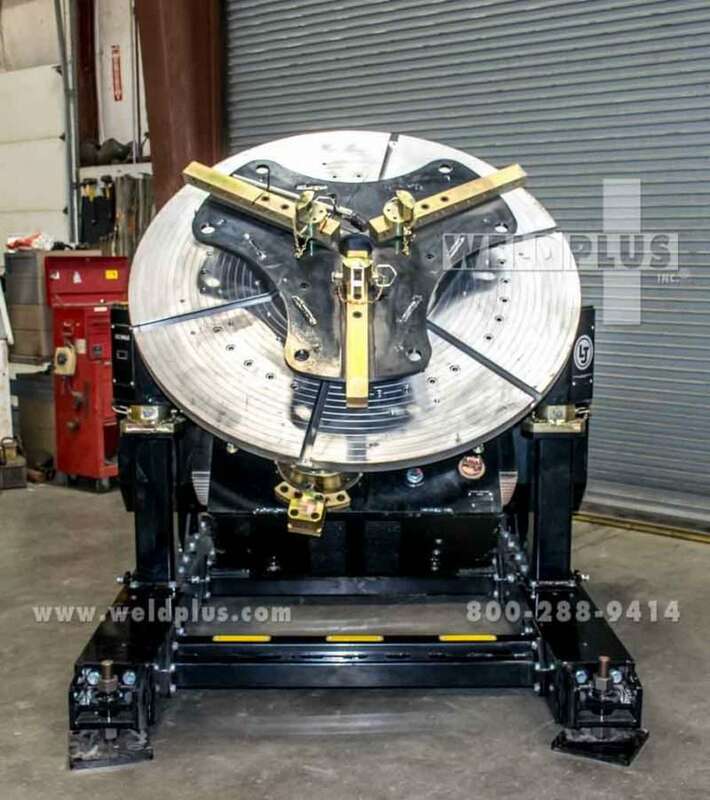 The LJ Welding 24000 lb Positioner is rated to turn 24,000 lbs. 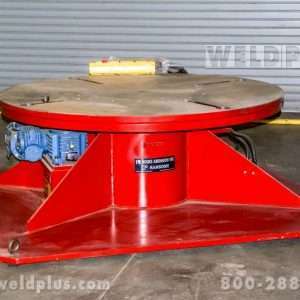 at 12” center of gravity. 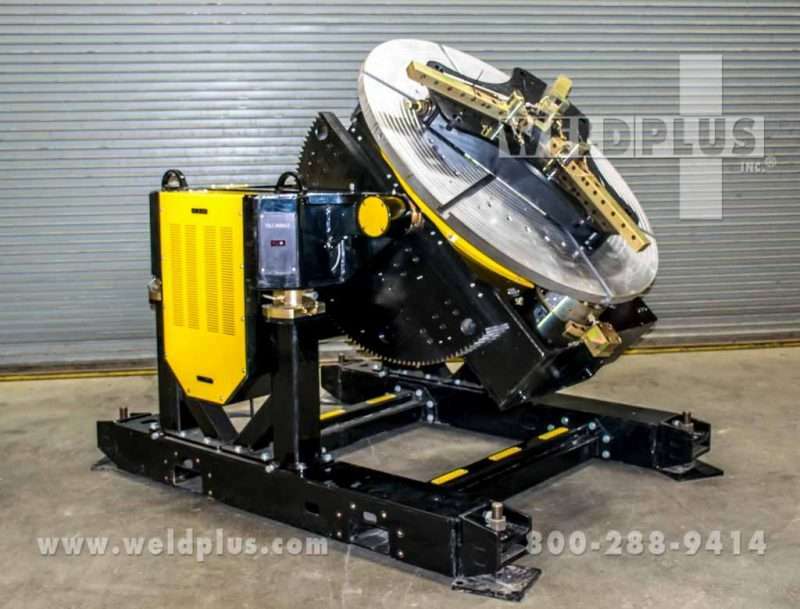 By utilizing digital readouts, this LJ Welding positioner offers precision feedback for integration with a variety of automated welding systems. 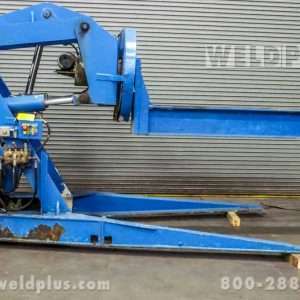 Fork lift pockets are built into the frame for easy movement around the shop. 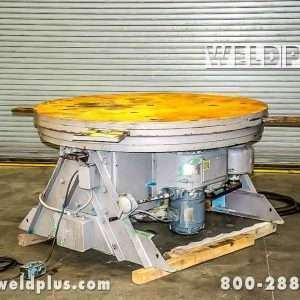 Available accessories include: wired/wireless hand pendants, foot switches (variable speed or forward/reverse) and gripper chucks (Shown with T50-200 Gripper Chuck). 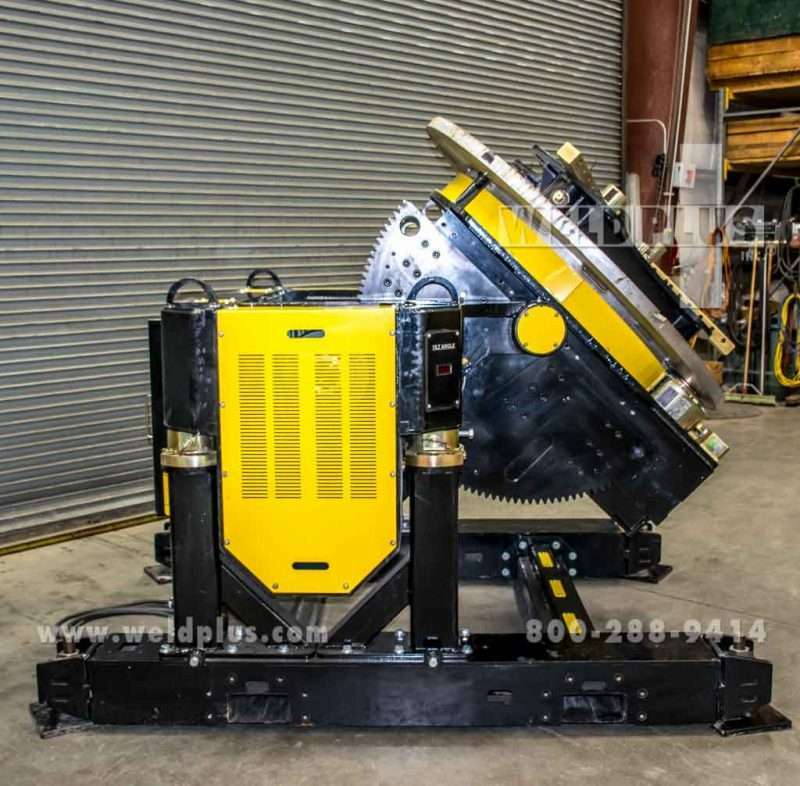 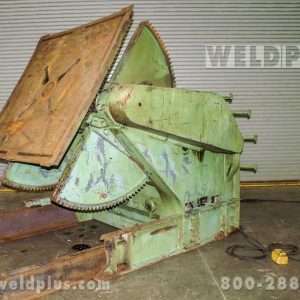 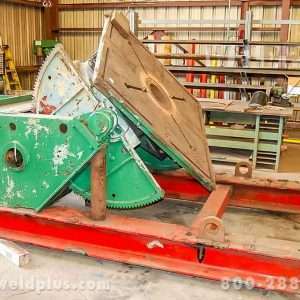 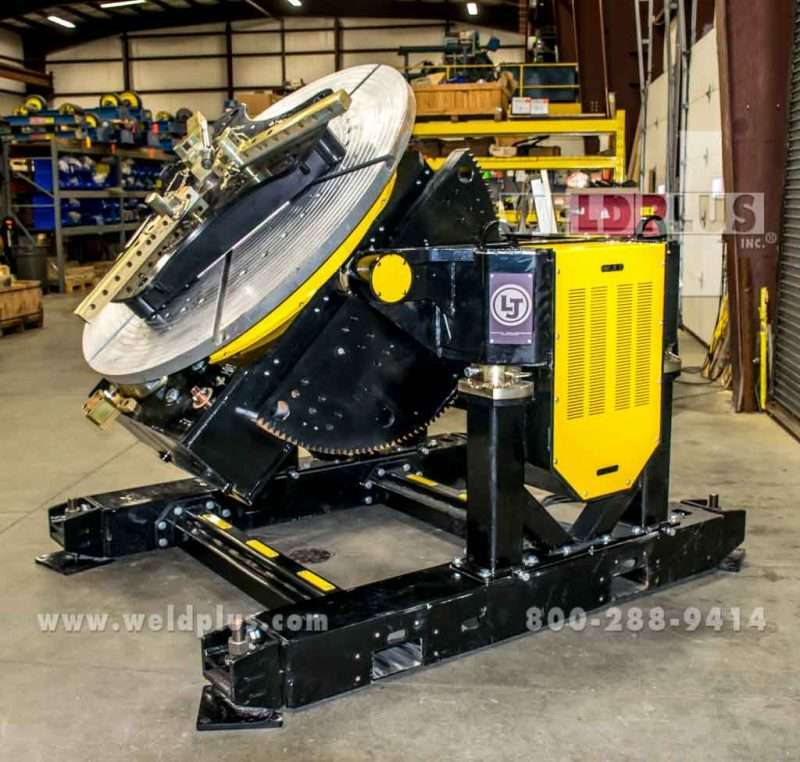 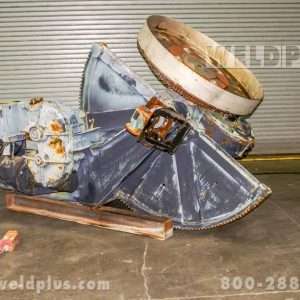 This LJ Welding Model T24PS-100 positioner is a perfect fit for any large automated pipe welding system. 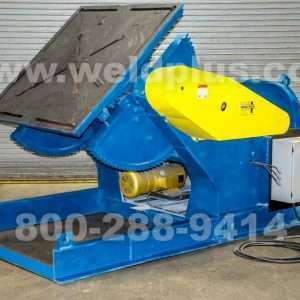 Call 800-288-9414 for more information.